It seems that everyone and their mother has caught the tie-dying/dip-dying bug and I have to say, I'm feeling pretty inspired right now. A couple of weeks ago I dyed a plain jumper light blue and lilac dip dye and I'm really happy with it, but I still have another plain one left so I'm thinking pink and white tie-dye? I don't mind looking like a swirly marshmallow :3 I'm also planning a t-shirt like the swirl patterns above but with pastel shades of blue, pink, lilac and grey: I'm getting excited thinking of the endless possibilities! Oo and check that shirt from The Ragged Priest - I want! 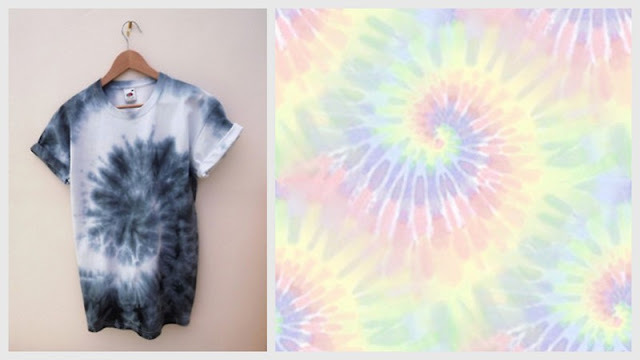 im defiantly waiting for the weather to get hot so i can spend all day in my garden tye-dying! Love this trend! Everything loojs great! this is really cool, love the colors! 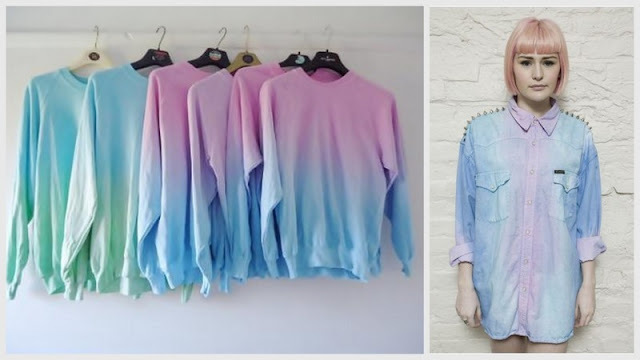 definitely do a post of your dip dyed jumper once you've done it! 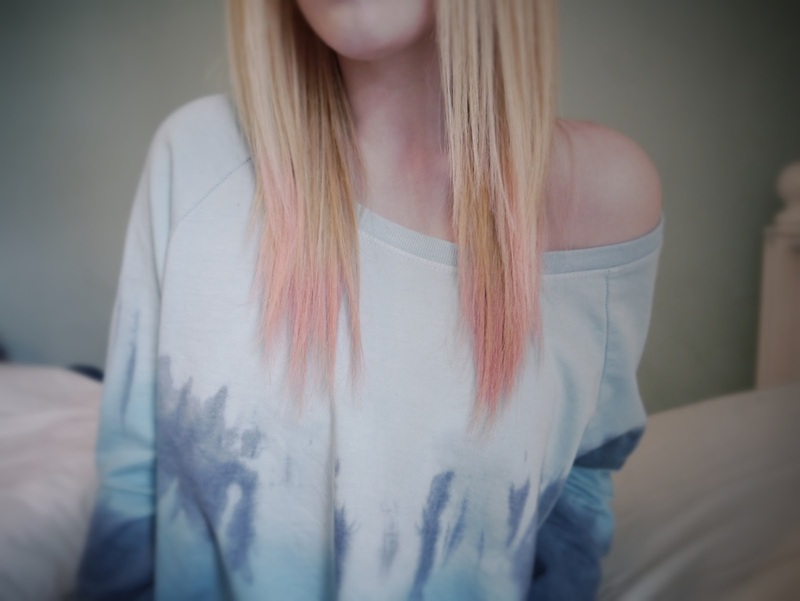 i really wanna dip dye my hair but i never get round to it!